As today’s early practice session showed the MINIs did indeed have some speed when the weather stayed clear. Times picked up dramatically and the 73 led the session with the 37 in third. 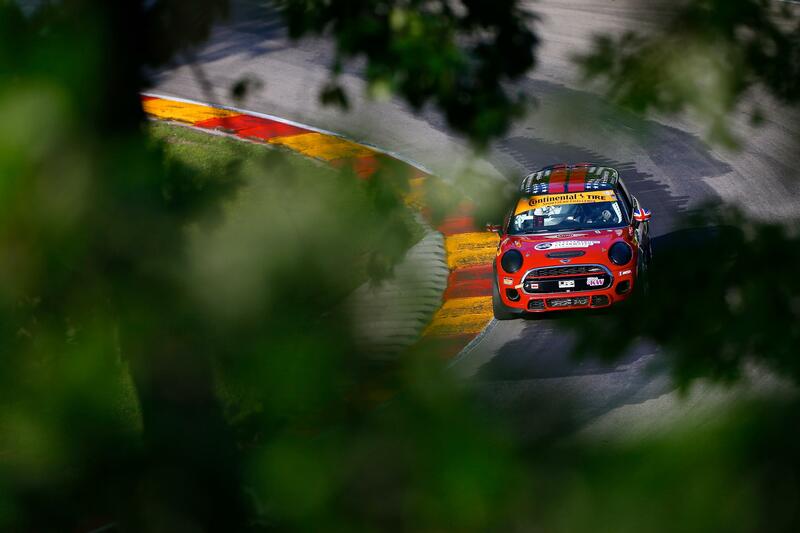 Qualifying immediately followed practice and the MINI JCW Team showed that the recent loss in boost due to BoP wasn’t going to slow them down. All three MINIs qualified in the top four with Derek Jones putting in the fastest lap and qualifying 2nd. He was followed by Mike Lamarra in the 37 and Chris Miller in the 52. If you weren’t already excited about today’s race then you have plenty of reason to be now. The Road America 120 takes place later today at 5:30 PM EST, don’t miss it! Details on how to watch the race can be found in our event schedule.